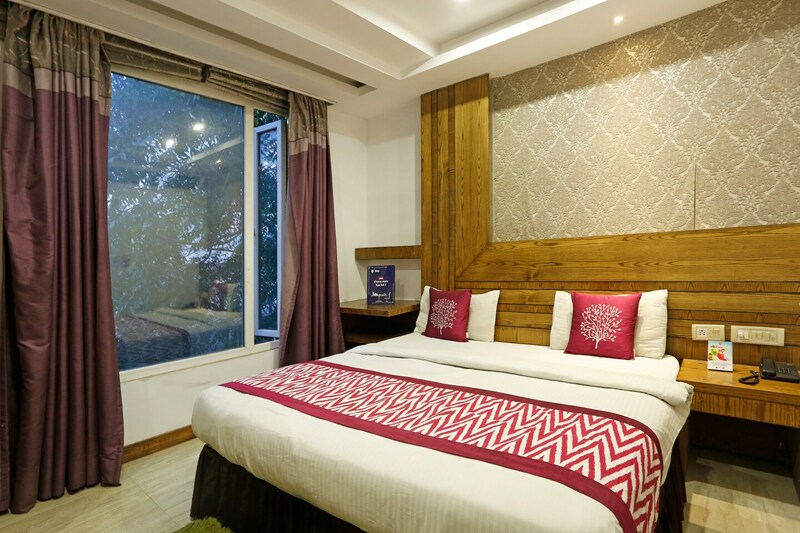 Hotel Ambience is a stylish property with tasteful interior design, located in Krishna Market in Paharganj, Delhi. It is very close to Ramakrishna Ashram Marg metro station. Tourist destination easily approachable from the hotel are Red Fort, Shankar's International Doll's Museum, Janpath and Rajghat. The hotel has a bright and pleasing lobby with high ceiling and elegant seating and indoor greens. The rooms in this hotel are stylishly furnished and have wallpapers and large windows that bring in lots of light. Bathrooms are also trendy and clean. The rooms here are equipped with free Wi-Fi, AC, TV, and the hotel also offers parking facility, CCTV security and power backup. Nearby eating joints are Spooky Sky, Sita Ram Diwan Chand, Sam's Restaurant and Bar and Tadka 4986.